At 25, he lost his father. Soon thereafter Laura, his sister, lost her mind and was committed to an asylum. His painting, The Scream, seems a way to sum-up what he must have been feeling through it all. Was there some event which inspired Edvard Munch to create this painting? The answer is "yes." One evening I walk down a hillside path near Kristiana [as Oslo was formerly known] - together with two comrades. It was a time during which life had ripped open my soul. The sun went down. The sea dipped quickly under the horizon. It was [as] if a flaming sword of blood cut open the firmament. The air turned to blood - with cutting veins of flame. The hillsides became a deep blue. The fjord - cut in a cold blue - amongst yellow and red colors. That shrill, blood red. On the road and the fence. The faces of my comrades became a garish yellow-white. I felt a huge scream welling up inside me - and I really did hear a huge scream. The colors in nature - broke the lines in nature. The lines and colors quivered with movement. These vibrations of light caused not only the oscillations of my eyes. My ears were also affected and began to vibrate. So I actually heard a scream. What happened to the friends with whom Munch had been walking? Dostoevsky, of course, had a profound reason for serious soul-searching. He had once been sentenced to death, by firing squad. After he was in position, waiting for the bullet to strike him, he was reprieved—at the last second—by the Tsar himself (who had never intended for the condemned young men to die). Munch painted several versions of The Scream. One was stolen, in 1994, and recovered (undamaged) three months later. Another was taken, at gunpoint, from the Edvard Munch Museum, on August 22, 2004. Norwegian police recovered that stolen treasure during a raid which occurred on August 31, 2006. Munch had a life filled with sadness. He was often afraid to leave his home. Although best-known for the painting depicted in this image, Munch was actually a very prolific artist. After he died at his estate outside Oslo, during World War II, people were stunned to learn how productive he'd really been during his 80 years of life. Plus ... woodcuts, etchings, lithographs, lithographic stones, woodcut blocks, copperplates and photographs. Munch had a very good reason for locking-up his paintings: In 1940, the Nazis invaded Norway, thereafter taking-over the country's government. Munch already knew that Hitler did not like his paintings. From now on we are going to wage a merciless war of destruction against the last remaining elements of cultural disintegration. ... Should there be someone among [the artists] who still believes in a higher destiny - well now, he has had four years' time to prove himself. These four years are sufficient for us, too, to reach a definite judgment. From now on - of that you can be certain - all those mutually supporting and thereby sustaining cliques of chatterers, dilettantes, and art forgers will be picked-up and liquidated. Munch knew that Hitler included him in the "art forgers" category, producing "degenerate" art. The Nazi leader had ordered German museums to remove at least 82 of Munch's paintings from their collections. 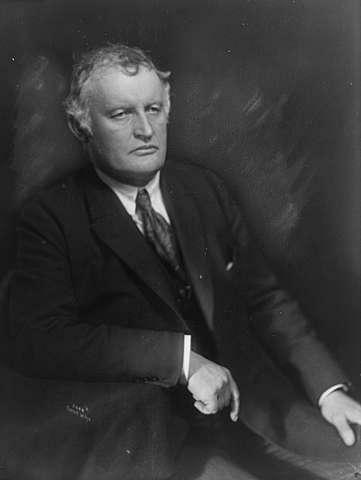 Thomas Olsen, one of Munch's neighbors—and a friend—decided to do something about the paintings which Hitler had ordered removed from all federal and state museums in Germany. He was able to recover 74 of the works, including a colorful version of "The Scream," then save them by hiding the paintings in a hay barn until Germany left Norway at the end of WWII. But ... as the war dragged on ... what if Hitler's troops decided to raid Munch's Norwegian home, looking for more "barbaric" art? What would they do if they found his life's work? The famous artist protected his creations—which he considered his children—from troops following the orders of a madman. He hid them, in his home, behind locked doors. After Munch died, the city of Oslo received a wonderful bequest from the artist: all of his unsold work. The city opened a museum, in 1963, to display Munch's art (including the version of "The Scream" depicted in this image). Then ... in 2012 ... Thomas Olsen's son, Petter, put his saved-from-the-Nazis version of "The Scream" up for sale. In a 15-minute auction, Sotheby's sold the 1895-created painting to an anonymous phone bidder for $119,922,500. Petter used the proceeds to build a new Munch museum (coinciding with the 150th anniversary of Munch's birth). Image, described above, online courtesy Wikipedia. Bos, Carole "Edvard Munch - The Scream" AwesomeStories.com. Oct 02, 2014. Apr 24, 2019.